Creating a high quality brand on Instagram is done by spending time upfront creating a content strategy. This means you decide in advance what content will work well for your audience, and you decide on how you are going to present that content in a way that your audience love. 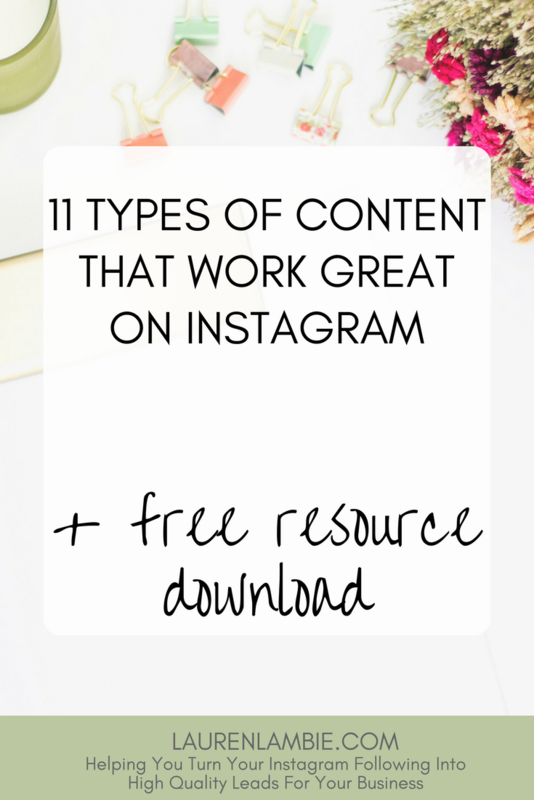 Here are some recommendations for the types of content that work really well on Instagram. Note: you don’t have to do all of these. I would start by picking 3-4 that suit your brand, experiment, and see what your audience react well to. 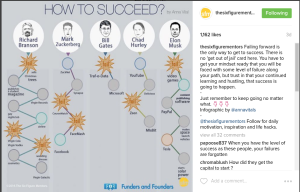 Lots of people follow instagram accounts because they want to be inspired. There’s something truly wonderful about using social media to inspire you to do something positive with your life, so use your content to tap into that desire your audience have. Your audience want to wake up every day and see something that is going to make them want to do something amazing – be that person! If you are a coach, then in some way or another you are pushing your audience to make a positive change about themselves. That might be about their career, money, relationship, body. Whatever it is, you need to be able to show them that a change is possible, and there is no better way to do that than use something I call the progress showcase. 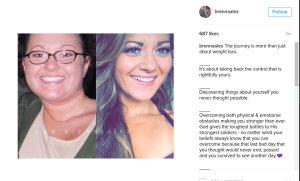 You’ve most likely seen these in the form of before and after pictures for people who have lost a lot of weight, but it doesn’t have to be that type of post to get the same message across. For example, you could show a transformation that one of your clients has achieved by quoting a testimonial, providing a screenshot of some sort of result (e.g. a revenue graph if you are a wealth coach). Be creative. Find a way to get across that message to your audience that if they work with you, you are going to help them transform, and you can show them real proof of that transformation. Most of your followers will know you from the emails you send and your website, and possibly from your other social media accounts. 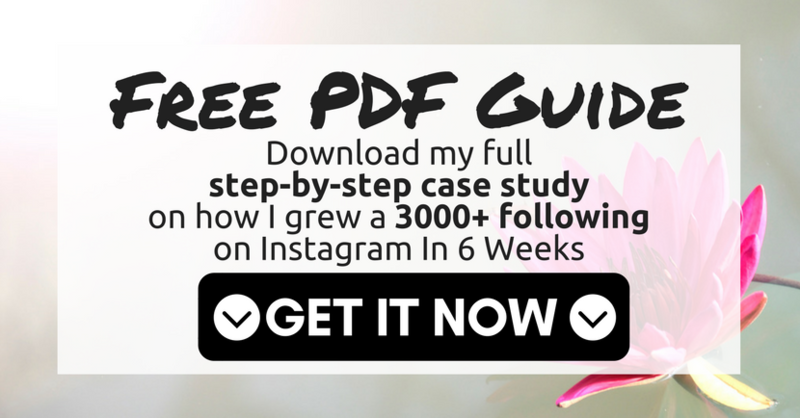 Instagram is a perfect medium for your audience getting to know you on a more personal level, and that’s going to really help you form a bond with them. Do that by occasionally posting some behind the scenes pictures from your real life. This could be something as simple as you getting ready to run a webinar, or something that you do day-to-day in your business. It shows a more human side, and will really help you build that strong relationship with potential customers. 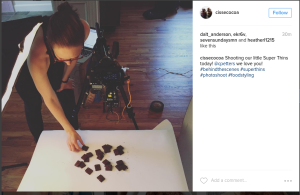 Lifestyle images are fairly similar to behind the scenes, but they are more personal and not necessarily related to your business. When done well, they tend to be quite aspirational images for your followers. For example, they might show an image from your recent vacation. Don’t overdo these photos – one high quality picture is preferably than twenty. 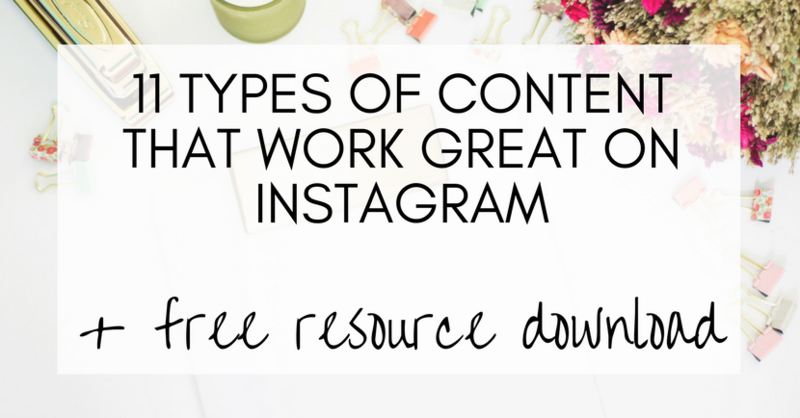 Value content is a catch-all for any type of post on Instagram that your audience is going to get value from, and this should make up at least 50% of the content you post on your feed. This might be a tip, recommendation, or guide. 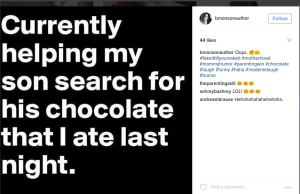 If you are a health coach, it could be a recipe. If you are a money or career coach, it could be an app you recommend. It doesn’t have to be profound or detailed advice but it has to be something that your audience can quickly look at and think: hey, that’s really helpful to know. By posting value content on Instagram, you are going to remind your audience that yours is an account that is worth following. It also means that when you do promote something on Instagram, your audience won’t mind because they’ll have already had so much value from you already. A little bit of humor goes a long way. 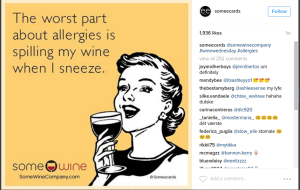 Use it sparingly, because you want the overall feel of your Instagram feed to be about value, quality and your brand, but a well-chosen funny post is a great mix to any Instagram account and will show you have a sense of humor. 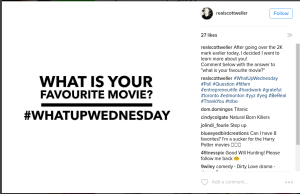 Don’t forget that you can include video posts on Instagram, and it’s another great way to help bond with your audience. It could just be you talking to the camera for example, but will come across as very personal and friendly. 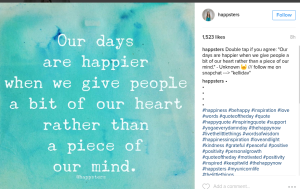 Instagram is about engaging with your audience, so you want to actively encourage them to comment on your posts. One obvious way of doing this is to ask a question that you know your audience are going to be passionate about. Yes/No questions or multi-choice tend to get a better response than open ended questions, but both are a great way to interact with your audience. Just remember to personally respond to any comment you get as a result. Your followers will really appreciate it. People like to feel part of something. One of the classic ways you can form a tribe online is to make comments or jokes about something that only a person “in the know” would get. For example, if you are a relationship coach for married couples, it could be something that only married people would be able to relate to. I could (and will) write an entire blog posts on contests, because they are one of the best ways to grow your audience and grow your email list. 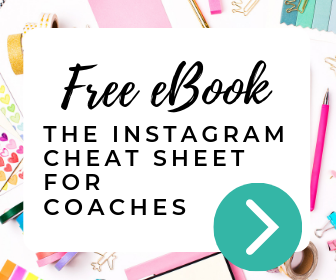 But suffice to say that a well planned contest that’s well targeted towards your ideal customer is a great way to utilize your Instagram feed. Last but not least, don’t forget to include promotional posts on Instagram. 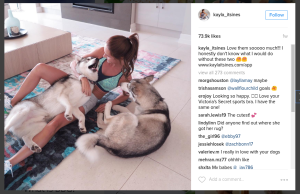 If you get the balance right and don’t make your Instagram feed entirely sales-focused, your audience will be very receptive to the occasional promotion. Besides, you are a business and you are there to turn followers into customers.